News just in from the suburban newspapers that St Stephen's Church in Ponsonby is facing closure. 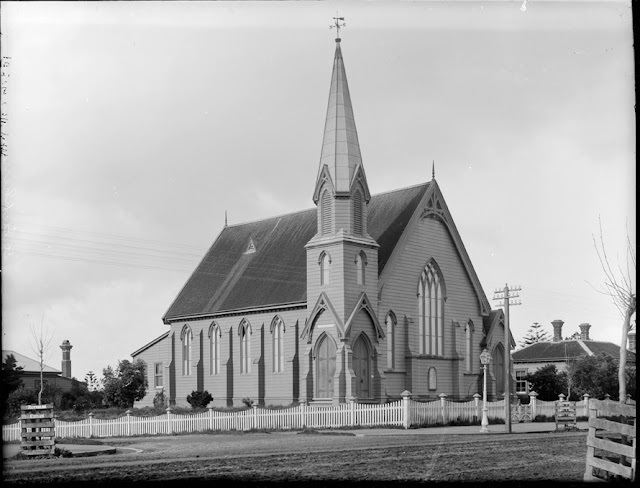 It has stood for more than 130 years, but this Christmas may be the last for St Stephen's Presbyterian Church in Ponsonby. Dwindling worshippers and large bills to make the building earthquake-proof may force the place of worship to close its doors as the Presbyterian Church of Aotearoa NZ assesses its buildings. Churchgoers were told earlier this month that paying to safeguard the building would cost in excess of $500,000, something the parish can't feasibly afford to pay for as it only has 30-40 members. "We are a small congregation, we certainly don't have half a million dollars," St Stephen's session clerk Ross Prestidge said. A recent evaluation showed the church, which opened in 1879, only scored 29 per cent of the current earthquake standard for new buildings. The Building Act 2004 requires them to be no less than 34 per cent. As it stands the church would be 10-25 times more at risk during an earthquake than a new building. It is considered to be legally earthquake-prone. And the Mt Eden tea kiosk from 1926-1927 has also been found to be an at-risk building. The kiosk, on the northern slopes of Mt Eden, was closed following a structural assessment in February which found the building did not meet building standards. Strengthening work began earlier this month and is expected to be completed by March. The kiosk was built in 1926 and has in the past been used as tea rooms and restaurant. Richard Hollier, Auckland Council's acting regional and specialist parks manager, said the work would maintain the historical integrity of the kiosk and ensure it could be reopened to the public. But its future use has not been determined.